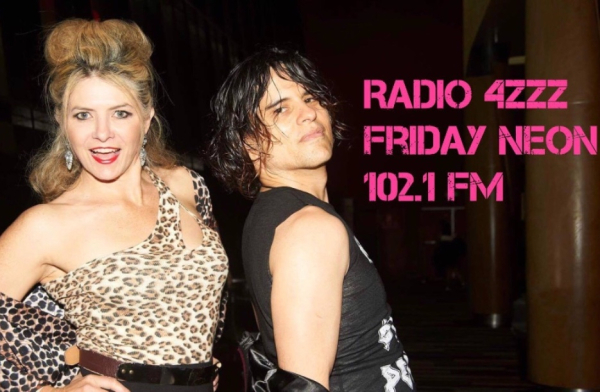 Hosted by Bec Mac and Quentin - Brisbane's premier arts and cultural radio show Friday Neon puts the spotlight on who’s hot in the Brisbane’s Arts and Music Scene, Nationally and Internationally! Featuring entertaining, yet insightful interviews, the latest releases and some of our favourites tunes from the Reader's Digest Box set of albums. Delving into a nightshade palette of colour, sourcing the richness of creativeness, and boogying into the weekend with tooty-frooty flavours join Bec Mac (Love TV and The Bec Mac Show) and Quentin for riveting conversations and fat tunes. Stream online at 4zzzfm.org.au from anywhere in the globe!